2019 BMW X2 Trim Levels with Comparisons & Configurations. What 2019 BMW X2 Trim Level Should you Buy? What is the Difference Between Trims? Those who want to really make a statement this year can enjoy showing off their car's good looks after they buy the 2019 BMW X2. While the X1 is geared a bit more toward practicality, the X2 places more emphasis on aesthetics. But don't be misled into thinking that the X2 is all looks and no substance; you would be gravely mistaken. Since it is a coupe, the X2 has a different physique than the X1 sedan. It is a little bit taller and has a slightly more aggressively styled front fascia. And it is not different from just the X1. There really is not another vehicle out there that looks quite like it. So, what else does the X2 have going on for it? Well, the outside is far from being the only contemporary feature on this vehicle. On the inside, there are a massive array of advanced driver aids, which is a huge bonus for any driver. Apple CarPlay and Navigation also come standard now, and, when you go for the M35i, you get even more sporty features and, of course, sheer mechanical power. There are a few downsides to buying this vehicle, and most of it has to do with its hefty price tag. It has less cargo and head space than the X1, yet it costs about the same. Also, the X2 has only been around since 2018, so it is hard to predict what kinds of mechanical and electrical problems this vehicle might be prone to experiencing in the future. Still, there are plenty of things to like about the X2 - so much so that you might have a hard time selecting between its trim levels. 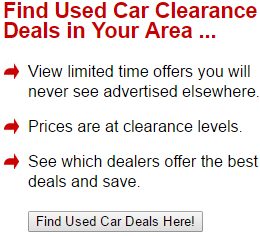 There are a few trim levels to choose from, too. You've got the base sDrive28i, the xDrive28i, and the sporty M35i. 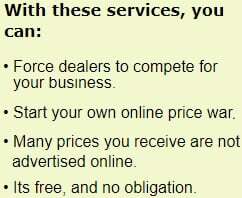 There are also a handful of packages (like the Premium and Convenience packages) that you can add on for an extra cost. How are you supposed to know which 2019 BMW X2 trim level is the right one for you? Well, read on through to the end of this comparison review. By then, you should have a clearer idea of which trim meets your needs the best or if you should go with the roomier X1. 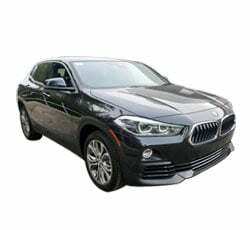 Compare the 2019 BMW X2 sDrive28i vs xDrive28i Trim Levels. What is the difference? First up, you have the base sDrive28i trim level and its all-wheel drive variant, the xDrive28i. As you can imagine, the biggest difference between these two trim levels is their drivetrains. Of course, the sDrive28i does start off with a smaller price tag of $36,400. You will have to shell out an extra $2,000 if you want all-wheel drive, but if you are someone who frequently drives in inclement weather conditions, it might just be worth the upgrade. The sDrive28i is powered by a 2.0-L twin-turbo inline 4-cylinder engine that gets 228 hp and 258 lb-ft of torque. It is accompanied by an 8-speed automatic transmission. The xDrive28i has the same powertrain, but it is able to get from 0 to 60 mph in 6.3 seconds, whereas it takes the sDrive28i 6.6 seconds. The engine comes with an auto start/stop function, and there is also electronic throttle control and brake energy regeneration. Other mechanical aspects found on both trim levels include gas-pressure shock absorbers, hill descent control, Servotronic vehicle-speed-sensitive power steering, dynamic stability control, performance control, and stabilizer bars for the front and rear of the vehicle. On the outside, these two trim levels do look pretty similar. For the body paint color, there are ten different non-metallic options to choose from on each trim. Also, you get LED headlights with cornering lights, LED fog lights, 18-inch Y spoke light alloy wheels equipped with all-season tires, privacy glass, satin aluminum trim, and chrome exhaust tips that measure out to 90 mm in diameter. You can also expect their interiors to look just about the same. Both cabins feature front sport seats that are 8-way power-adjustable, and there are driver's side seat bolsters that are 2-way power adjustable. SensaTec upholstery comes standard, as does black high-gloss interior trim highlighted in pearl gloss chrome. Floor mats, an anthracite headliner, and ambient interior lighting also adorn the cabin. With regard to technology, there is a 7-speaker HiFi sound system with a 205-watt amplifier included. You also get an anti-theft AM/FM radio and CD player, HD Radio, and pre-wiring for SiriusXM Satellite Radio. You also get BMW Navigation Business with a 6.5-inch touchscreen display, a sport 3-spoke steering wheel with multiple mounted controls (including dynamic cruise control), the iDrive system, one year of Apple CarPlay smartphone app integration, BMW Connected Services, BMW TeleServices, a rear view camera, a tire pressure monitoring system, and a defrost for the rear windshield. Comfort and convenience features come in abundance, as you should expect for a luxury vehicle. These features include rain-sensing windshield wipers, a tilt-and-telescoping steering column, front and rear park distance control, center arm rests for the front and rear seats, power windows with "one-touch" up/down for all of them, several 12-volt power outlets, a power tailgate, and automatic climate control. There are also plenty of cup-holders and a storage package that improves the cargo area's utility. The list of standard safety features is also about what you should expect to get on a base luxury coupe. These two trims come with coded driveaway protection, an anti-theft alarm system, BMW Remote Services (which includes the Stolen Vehicle Recovery feature), pretensioners for the front seat belts, a central locking system, and BMW Assist eCall, which a SOS button and an enhanced automatic collision notification system. Compare the 2019 X2 xDrive28i vs M35i Trims. What is the difference? Of course, if you really want to step things up and get sporty, the M35i is the trim level for that. It receives power from a tweaked version of the base trim's 2.0-L engine. On the M35i, it beefs the hp up to 302 and nets you a cool 322 lb-ft of torque. The powertrain gets a sport version of the 8-speed automatic transmission, and intelligent all-wheel drive comes standard on this trim level. So, what else is mechanically different? For starters, the M35i has a M Sport differential and M Sport exhaust. To round out the M Sport's mechanical treatment, you also get specially-designed M Sport brakes, a suspension, and steering system geared toward creating a more engaging driving experience. Things are a bit different on the outside, too. Whereas the lower trim levels have a choice of ten body paint colors, you only get six non-metallic options on the M35i. All of them are paired with matching cerium grey mirror caps, dual exhaust tips, and a double kidney grille. Shadowline exterior trim also gets slapped on for an extra chic appearance. In addition to a bunch of minor M Sport design elements getting added on, there is also a rear spoiler, aerodynamic kit, and power-folding side mirrors. On the inside, things also get turned up a notch. The front sport seats gain 12-way power-adjustment, and the interior trim is done in aluminum hexagon with pearl gloss highlighting. The door sills get the tell-tale M35i embossing, and a bunch of unique little M Sport details get smartly splashed throughout the cabin. While there are not a ton of noteworthy upgrades to the list of standard audio equipment, you do get some extra stuff in the way of comfort and convenience features. For example, the M35i gains an Advanced Key and Memory system, which recalls your most recently used climate control and air distribution settings, your central locking preferences, lighting preferences, and your audio presets. Comfort Access keyless entry, an automatically dimming rear view mirror, and HomeLink universal garage door opener all come standard as well. Quite naturally, your safety and security features also get beefed up on the M35i. Active Driving Assistant bundles features like lane departure warning, frontal collision warning (which comes with city collision mitigation), and automatic high beams. Also, the LED daytime running lights are programmable, and there is an impact sensor that will prepare the cabin of your vehicle when it detects an oncoming collision. There you have it; the 2019 BMW X2's small but solid line-up has three powerful options to choose from. Picking the right one for you will depend primarily on how much you are willing to spend to get all of the features that you want. While the spunky M35i is sure to attract a lot of attention, the sDrive28i (or, if you live in the United States' snow belt, the xDrive28i) does just fine. You get a good amount of features and can maximize by equipping the Convenience and Premium packages. 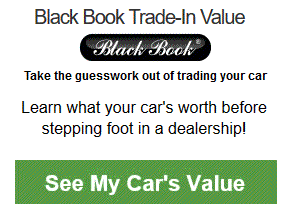 You really do not have to spend the most to get a lot on any BMW vehicle. Of course, if you are in need of more rear seat and cargo space, you might want to skip the X2 altogether and consider getting the similarly-priced X1 instead. It, too, has a high-powered line-up that is known for putting in a good performance and being packed with features.